Disclaimer: This post contains affiliate links which means I may get compensated if you sign up or purchase through my link. Read full disclosure here. Retirement is inevitable. You cannot deny it and it will come sooner than you think. Having a retirement plan and saving money for your retirement should be your most important part of financial planning. It is in your best interest to save money to live comfortably after retirement. 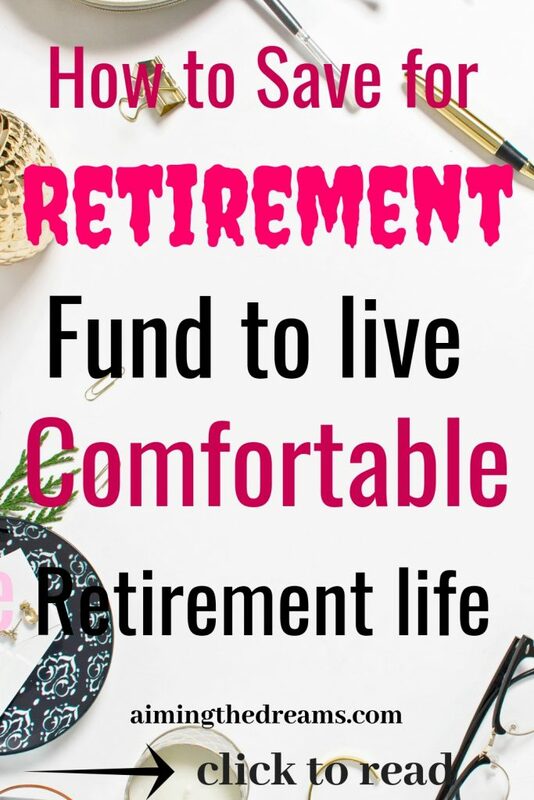 And if you want to have retirement before your retirement age, you have to save larger amount of money to adjust the money you will need to live a comfortable life. If you think that you don’t have enough money and is barely able to make both ends make and you cannot save money then you are wrong. Saving even small amounts of money will let you save big amounts on the long run. Whatever your age is and whatever your financial situation is, start saving for your retirement now. Retirement is not far away. Years pass so fast. If you will be like me, you will regret why you didn’t saved for your retirement early. But the best time is now. It doesn’t matter, if you are 20, 30 or 40 something. Just start it now. You still have time to build your retirement income. Social security or pensions you will get after retirement will only supplement your retirement savings it cannot be your main retirement money. You never know, what will be the amount allocated by government for social security at that time. You cannot rely on social security only. Better start saving for your retirement now. Medicare will not be able to take care of all your medical needs. You may need to pay for your medical bills yourself. Why not get ready for it now and save money for your retirement. Government is cutting funding in many areas. We never know when it would be time to cut funding for medical needs. There is always this point as there is always fluctuations in inflation and economy. Economy may shrink and govt can cut all the social security. What if you will not have any retirement fund. you will not be able to live without a paycheck. Retirement planning is as important as planning for other phases of life. You will not have a steady paycheck after retirement. It is in your best interest to save as much as you can in your earning years. Creating a retirement plan is an absolute necessity and you cannot deny it if you want to live a comfortable life after retirement. Yes please do a favor and pay yourself before making any other purchase or payment. This will give you ample amount of money on long run that you will not even know. If you think that you cannot save big chunks of money, start with very small amounts . Say you only have 25 dollars to save. Save this and automate these savings. Gradually you will be able to invest this saved amount in some bigger investments. This is very crucial point to make your retirement plan a success. While it is important to live life and enjoy, saving should be an important part of your life. And it is best to automate your savings because you may forget to save or there can be other obligations where you want to put your money. More important, have an automated plan where you will get penalized for not saving or withdrawing your money. If you feel like your present income is only enough for your basic needs, start earning more. There was no better time to earn some extra bucks if you want to make money. Start some side hustles to make extra money. You can put this money to your retirement plan. There are other ways to make money online. Start with these apps and survey sites. If you have good amount of money to save , just save it. But planning is required by everyone. If you are on a tight budget, it becomes important to squeeze out money from everywhere to save and invest. Saving money from your already tight budget is such an important task. Try to squeeze out some money from your grocery shopping. Shop online and save some cashback. Whatever you save, you can save into your retirement plan. Saving money in low performing accounts is not the only way to build your retirement funds. It is important to invest in high yielding accounts. If you are afraid of investing money, start with small amounts. Raiz give you that opportunity to invest money from your behalf. It is an app that could invest change from your shopping. If you shop for few dollars then this app will round it up to full digit and invest the change for you. If you are young and have some time to bear the loss of money then you can invest in stocks. Stocks can give you better returns. If you have less time for retirement, invest in more secure places like bonds. Super in Australia is equivalent to 401K in America. 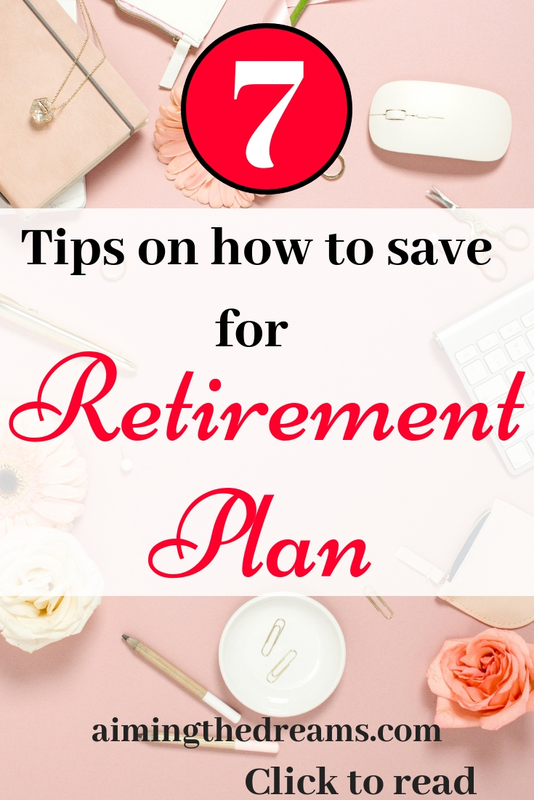 It will be a good amount of your retirement income so it is a good idea to take control of it and see how much you can contribute to super. Here is your Super calculator. Calculate your super and have an idea how much you need to invest in super to have a good retirement fund. 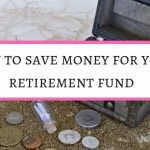 These are my thoughts on saving money for retirement. 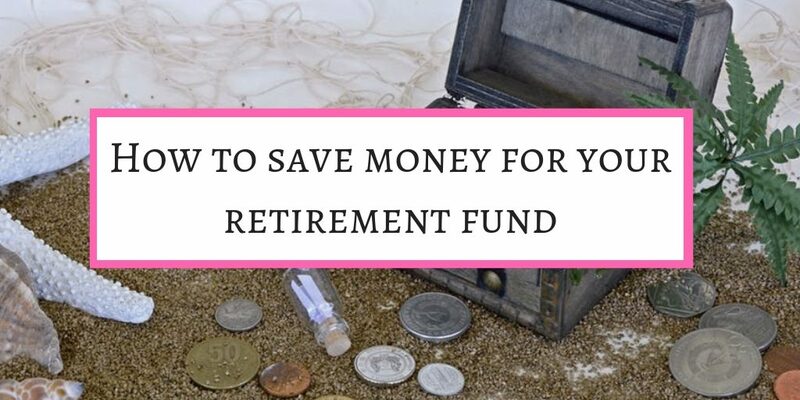 Please tell me in comments how you are saving money for retirement. If you like the post please share. I will appreciate this. Great tips and resources. Thanks! Thanks to applying most techniques available in the US and some good old fashioned frugal living (not doing without, just smart choices) we are looking to retirement in under 5 years and have been large debt free for almost 10 years (mortage and cars paid for). I love that you’re sharing this with your readers. It’s truly a worthwhile read and way of life! Wow Kim, you are so inspiring. We came here to Australia 5 years ago and bought our home just 2.5 years ago, so nowhere near to be mortgage free. But we are trying to keep everything on track.Thanks for reading and commenting. I think the best advice to anyone on retirement is to get started now, do not wait when you think you will have “enough money”. Thanks for sharing these useful tips, I think they will go a long way to helping many people out there. Yes John, having a robust plan for retirement is a necessity. And it is best to get started as early as possible. Thanks John, for stopping by and reading.